Arcadia Compact Lighting Unit A1LS0144N | Livefood UK Ltd.
With a sturdy metal construction, this combined high performance flood reflector and ceramic bulb holder unit has been designed specifically for use with compact fluorescent lamps in vivariums or bird cages. It can be fitted in a vivarium, placed on a mesh top or bolted securely over a bird cage. 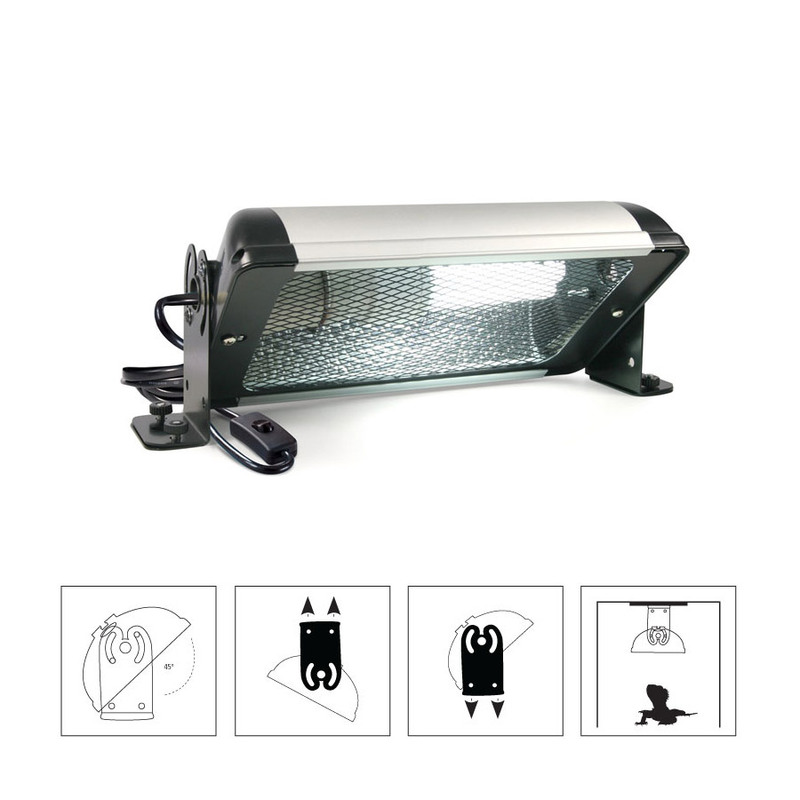 With an in-line switch and removable safety mesh and the reflector unit can be angled as required.